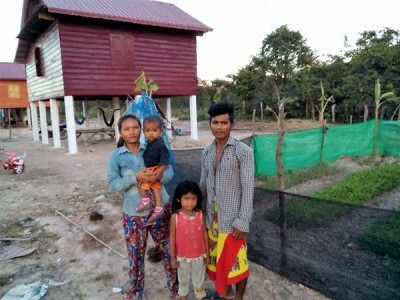 KN and his family are the third family to participate in Peaksneng Thormacheat’s Rent-to-own program and couldn’t be happier. KN and his family have gone from living with their in-laws, to renting, to owning their own robust home and land! 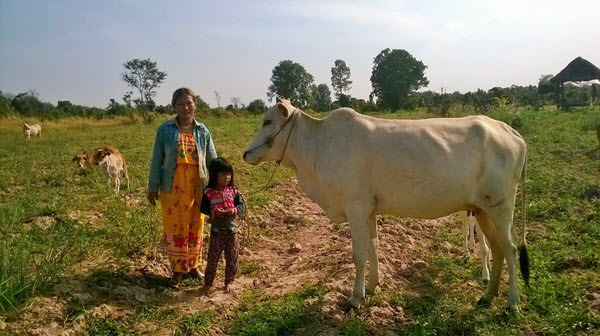 The program allows them to live in a quality weather tight home, grow organic vegetables, have a space for raising livestock and have their own supply of clean drinking water; all for an affordable monthly payment. KN says that these improvements to their lives are not only going help their income but his family’s health as well. The church farm where he works is adjacent to the Development lot, where his new home is, so he even reduced his daily commute! Since moving to his new home, he has faced some challenges with keeping his unruly cow under control! 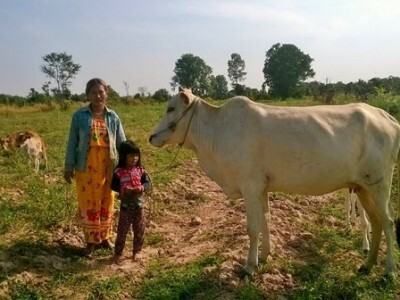 He plans to build a robust cow shed at his new home, so that his cow cannot escape in the middle of the night and disturb his neighbors. KN dreams of sending his young children to school without financial worries. To achieve this he would like to buy a few more cows to increase his family’s income.